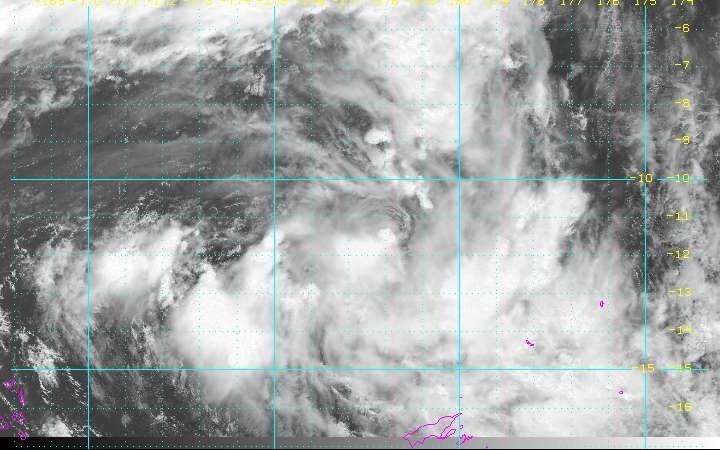 A storm making its way towards Fiji has intensified into Cyclone Mona. 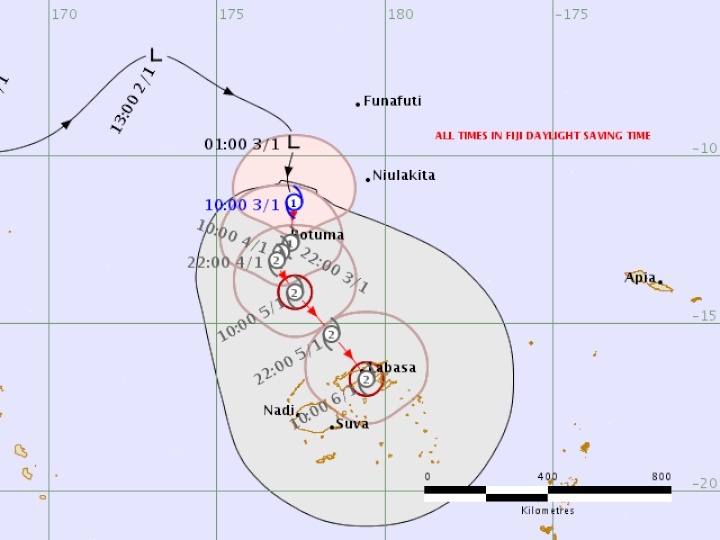 While it remains weak, it continues to strengthen on its path towards the island of Rotuma. This morning, Mona was about 130 kilometres north-northeast of the island of Rotuma, heading south towards it with winds gusting as high as 90 km/hr. It continues to strengthen, and by the time it reaches Fiji’s main islands this weekend, it’s likely to be a category two storm. On its current track, it’ll fly directly across Vanua Levu, and skirt the north of the main island, Viti Levu – much the same area that was devastated by Cyclone Winston three years ago. Authorities are urging people to prepare for flooding, as the region is already sodden after weeks of heavy rain.